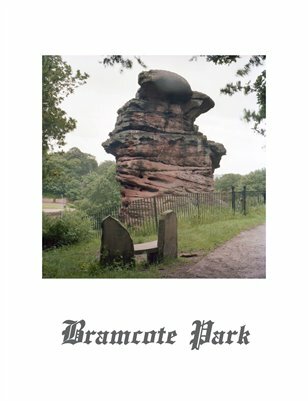 Photographs of the area around Bramcote Park in Nottinghamshire, England. Continuing an enquiry into how the land is used, viewed, and mediated; both physically and through its representations. This issue focuses on an area of managed parkland, a site of overlapping communities and histories: flora, fauna, and human. Number 1 in a series of 5 publications.